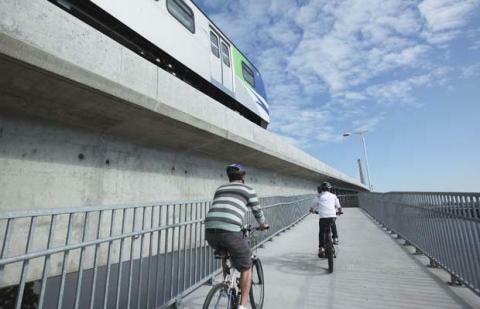 Richmond will unveil a new cycling route today that makes it easier for cyclists and pedestrians to connect with the new Canada Line bridge. 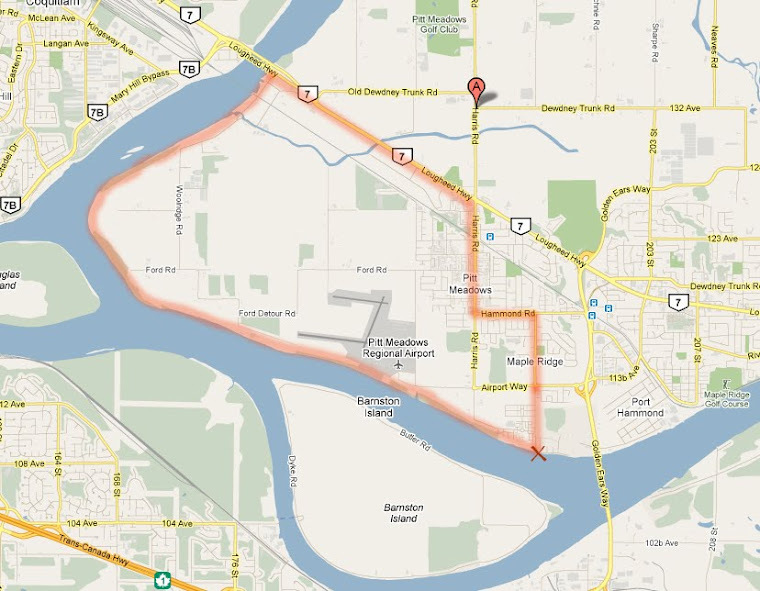 The $265,000 route stretches from the bridge along Van Horne Way to the Bridgeport Trail. About $135,000 of the money came from the provincial government with the rest from Richmond and TransLink. Terry Lake, the parliamentary secretary for health promotion, Richmond Centre MLA Rob Howard, acting Richmond mayor Derek Dang and TransLink board member Cindy Chan-Piper will test out the route today. Richmond spokeswoman Cynthia Lockrey said the connection is aimed at making it easier for cyclists coming off the new bike/pedestrian bridge. Between January and Aug. 12, 73,000 bike trips were recorded. Vancouver Proper is blessed with a progressive and forward looking mayor and council. A lot of bicycle infrastructure improvements have gone in which make cycling there much safer and more pleasant. Hopefully the mindset will trickle through to the outer municipalities like Maple Ridge as it has to the city of Richmond.